Need Cash to Make Some Snazzy Valentine’s Day Plans? Come to Gems & Jewelry Inc.
Valentine’s Day is the perfect occasion to make some special plans to surprise your sweetie. Whether you’ve been together for a few days or many years (or anywhere in-between), set aside some time on Valentine’s Day to express how much you care. It’ll be time well-spent! But what do you need to make this Valentine’s Day really awesome? Sure, you need some chocolates, flowers, and romantic dinner reservations, and what’s required to do that? Have some MONEY, of course! Get a cash boost just in time for Valentine’s Day with Pawn Big Palmdale . At Pawn Big Palmdale , you can get the money you need to make your Valentine’s Day extra epic without any hassles. Simply bring in some items that you don’t need anymore and you’ll be able to walk out with cash in your pocket within minutes. If your item contains a precious metal, we want it! Let us give you a cash offer you simply can’t refuse. Make your Valentine’s Day dreams a reality with a little cash influx from Pawn Big Palmdale . We accept just about every kind of gem at Pawn Big Palmdale including sapphires, rubies, emeralds, tanzanite, pearls, opals, diamonds, and more. Get top dollar for all your precious gems at Pawn Big Palmdale . Let us evaluate your jewelry and give you an amazing offer today so you can have an incredible Valentine’s Day with your sweetie. When you bring some valuable items to Pawn Big Palmdale , one of our expert appraisers will be happy to evaluate them to determine their objective value. Jewelry is evaluated based on the objective value of the precious metals and gems, so you can always be confident that you’re getting the best possible price for your jewelry at Pawn Big Palmdale . Getting the money you want is easy when you come to Pawn Big Palmdale . Our store is convenient to anyone who lives in Antelope Valley. 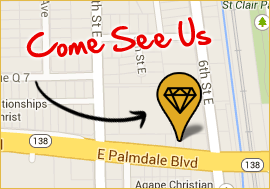 You can find us at 557 East Palmdale Blvd. Palmdale, CA 93550. Business hours are Mon-Fri 10AM-6PM. Live it up this Valentine’s Day with a little cash boost from Pawn Big Palmdale . There’s no easier way to get a cash influx than by coming to Pawn Big Palmdale . 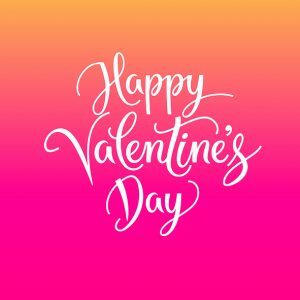 We hope you have a wonderful Valentine’s Day, and that you think of Pawn Big Palmdale anytime you want or need some extra cash.